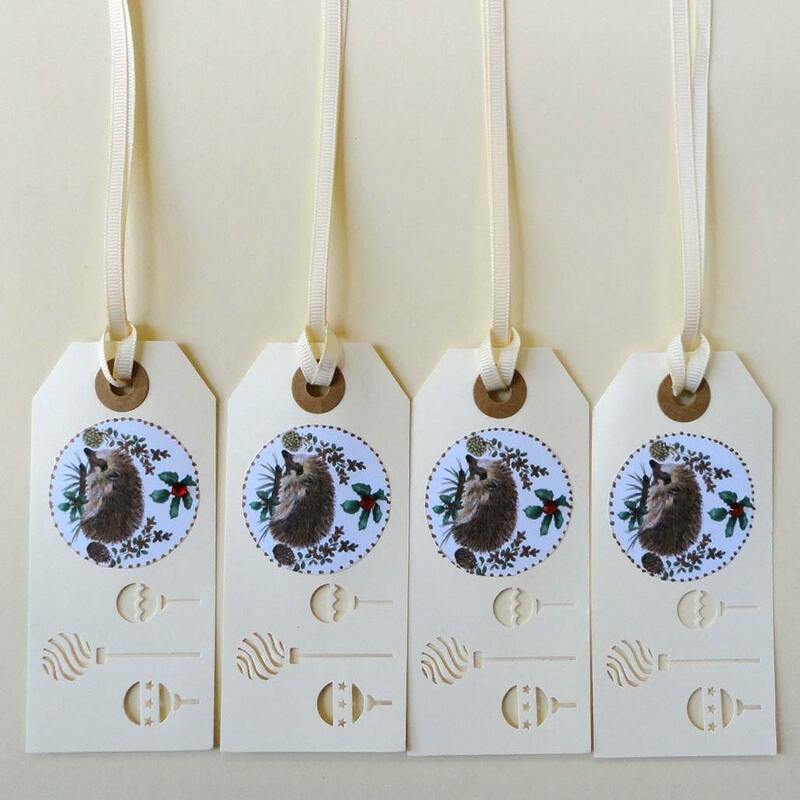 Bring a couple of wild cats into your life with these striking tags. 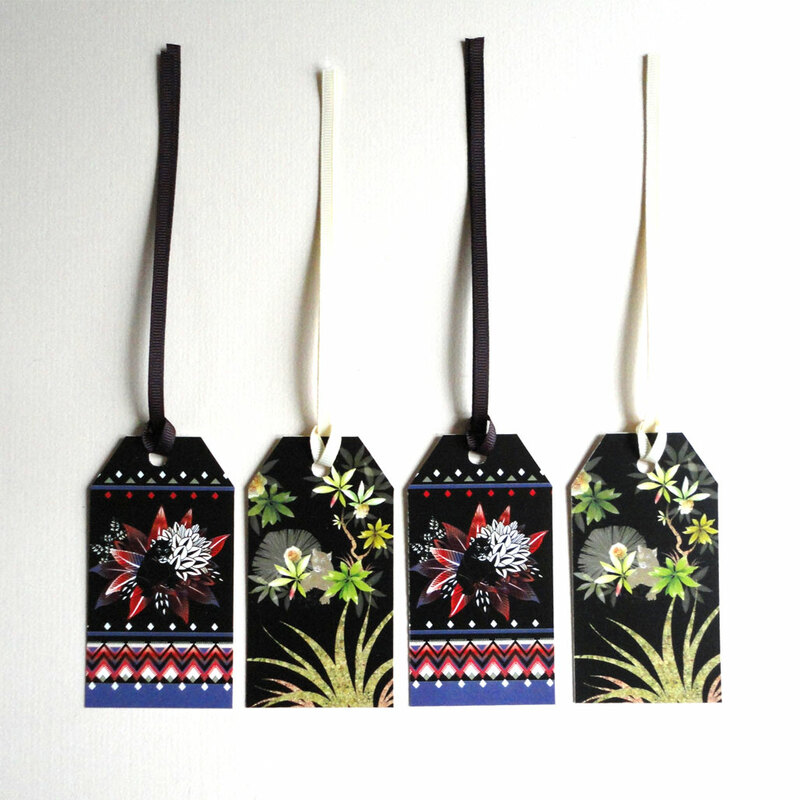 The wild cats sit among foliage on these predominately black tags, which would make a real statement attached to bright wrapping paper. 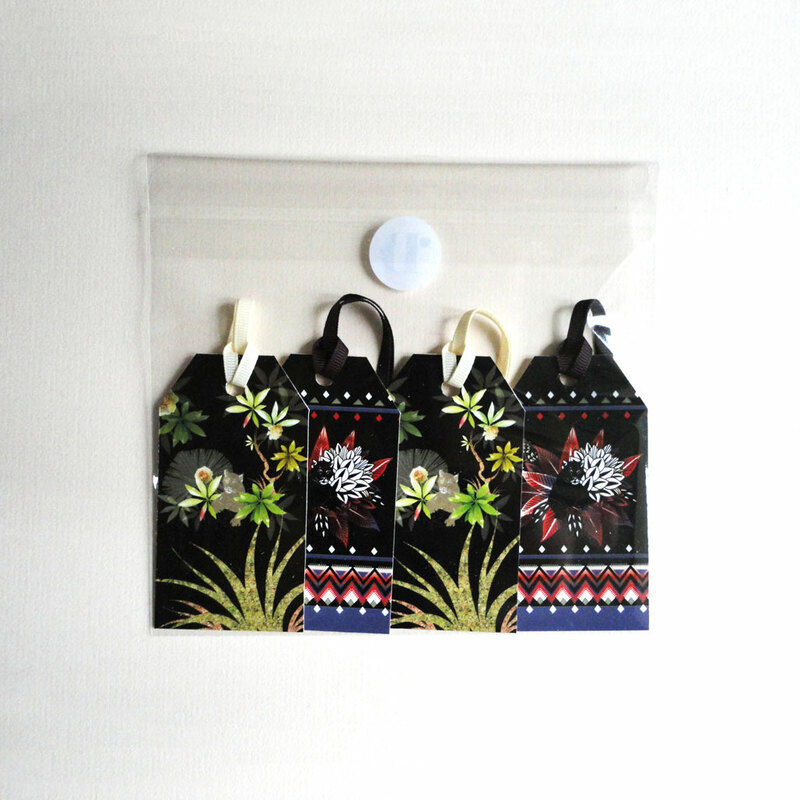 This gift tag set comprises of a Lazy Leopard inspired tag, and a Zig-Zag Tropical Panther. These would work well given to someone alongside the matching greetings cards as a whole present. 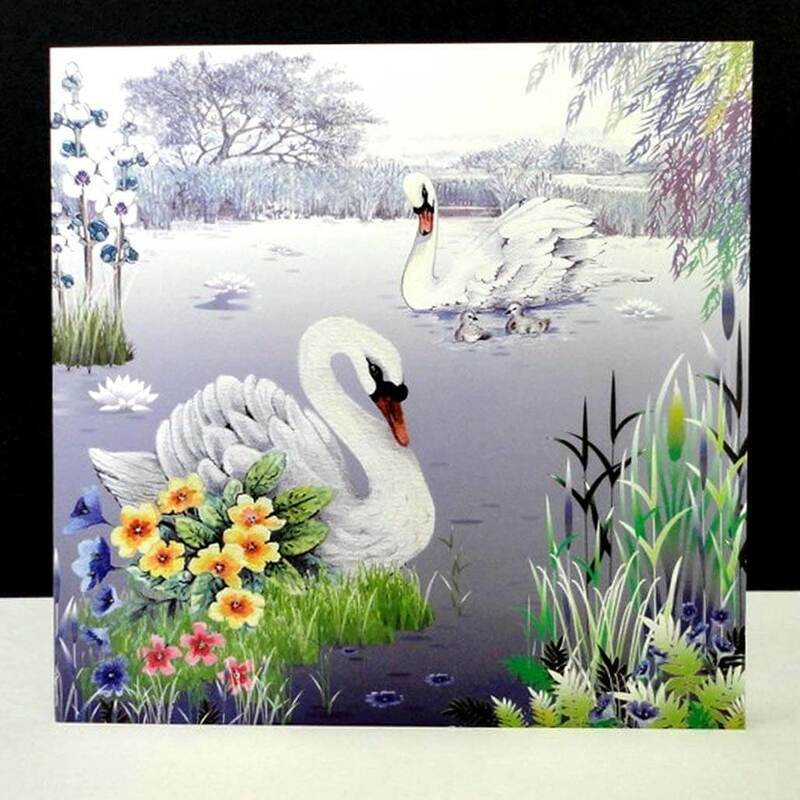 These designs are also available on cork coasters and other home accessories. The Lazy Leopard lies relaxing on a cork tree trunk arching across the scene soft butter lemon photographic roses, with a textured grasses in the forefront on black. A cream grosgrain ribbon finishes it off. 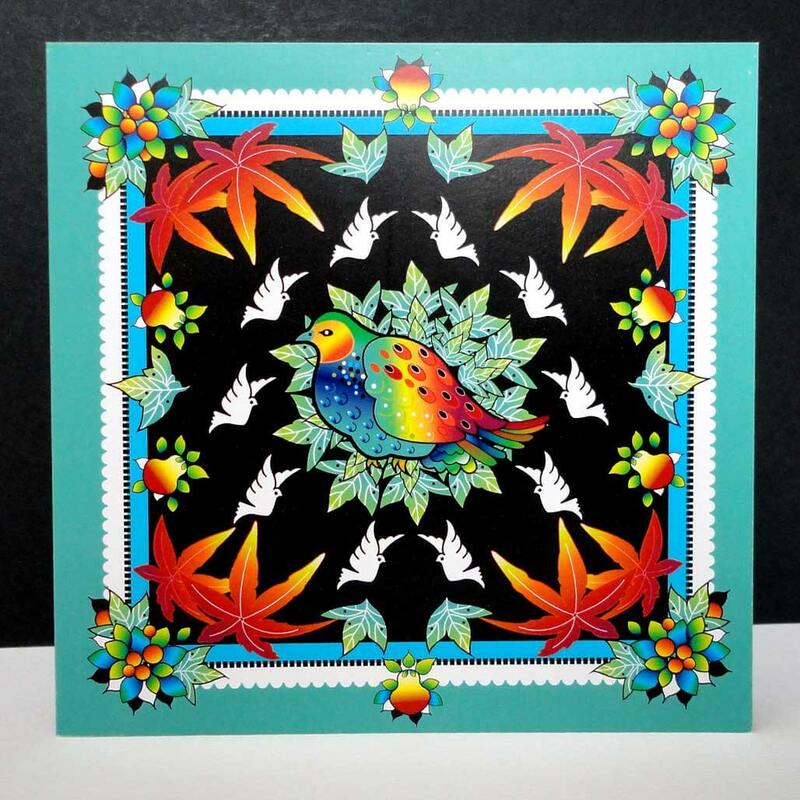 The Zig Zag Tropical Panther has the illusive black cat resting among tropical flowers and leaves with a vibrant zig-zag border at the base. 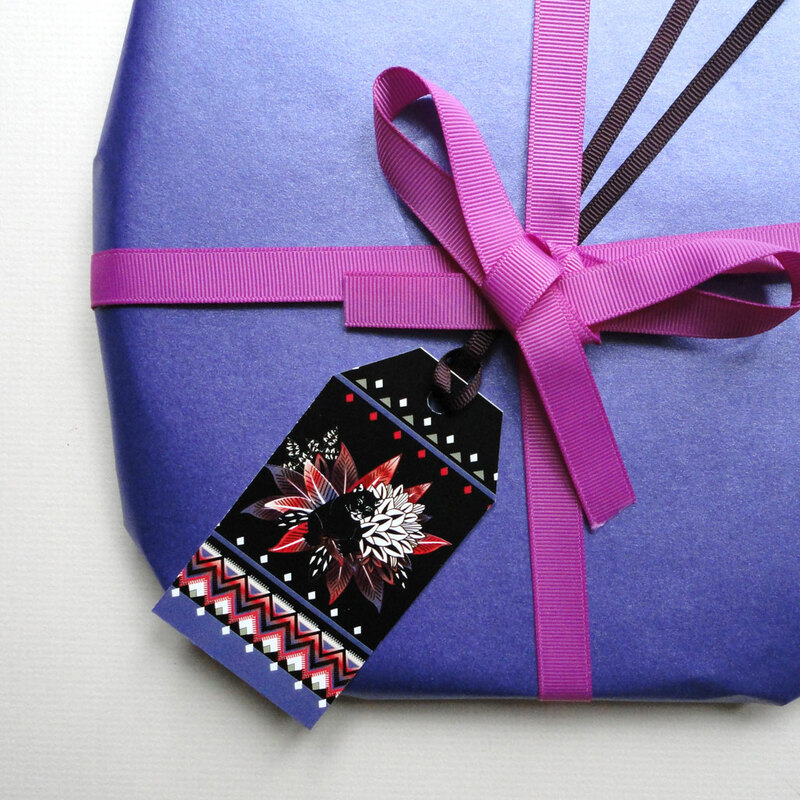 A dark aubergine grosgrain ribbon finishes it off. 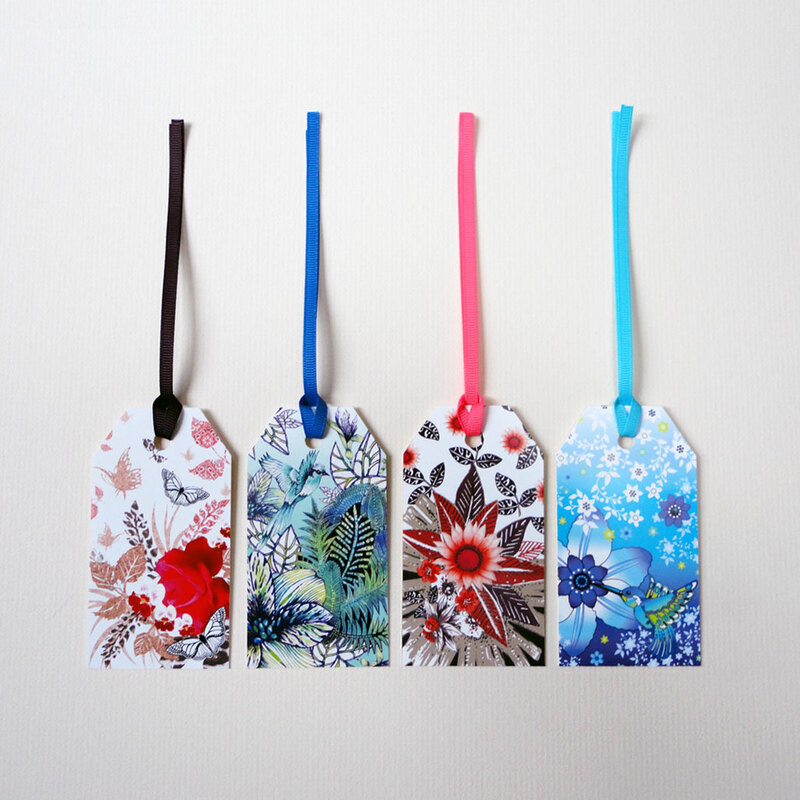 This pack of four comes with two designs, two of each tag.